The Wood Buffalo Regional Library is located in the Suncor Community Leisure Centre on MacDonald Island. We open late on the 4th Thursday of each month, with our hours being 9:30am-9pm that day. Materials may be returned to the library after hours. One book drop is located on the exterior of the building on the left as you enter from the roadway. 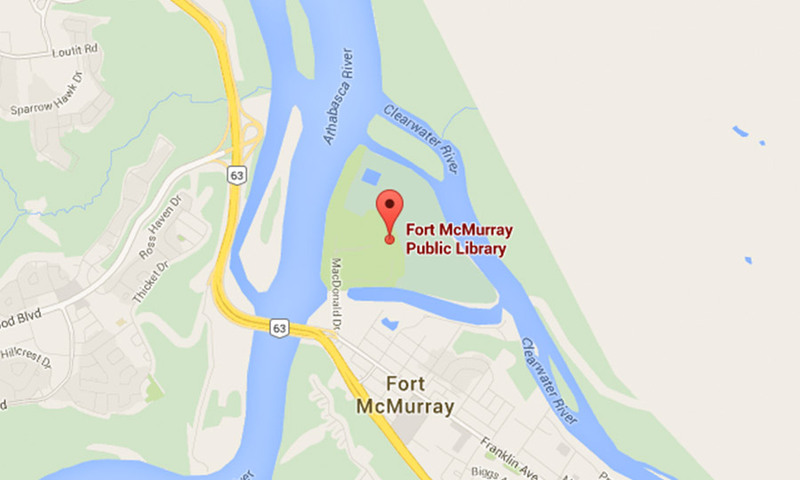 Additional book drops are located inside the concourse and are available during Suncor Community Leisure Centre hours. Book drops are also located outside of the Thickwood Save on Foods and Timberlea Independent Grocer. If any of the drops are full, please keep your materials to return at a later date.